StoryCorps: Caught Between Their Dying Parents, Daughters Find Comfort In A Lie During the height of the AIDS epidemic, two sisters lost both their parents to the disease — a gay father who'd had to keep a secret life, and a mother who could never forgive him. 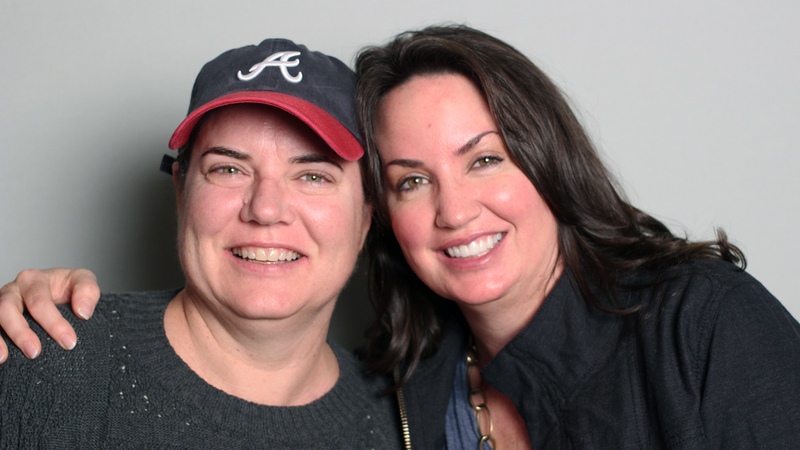 Claudia Anton and Diana Keough, on a visit with StoryCorps in Atlanta. This conversation was recorded in partnership with The Recollectors, a storytelling project by and about people who've lost parents to AIDS. 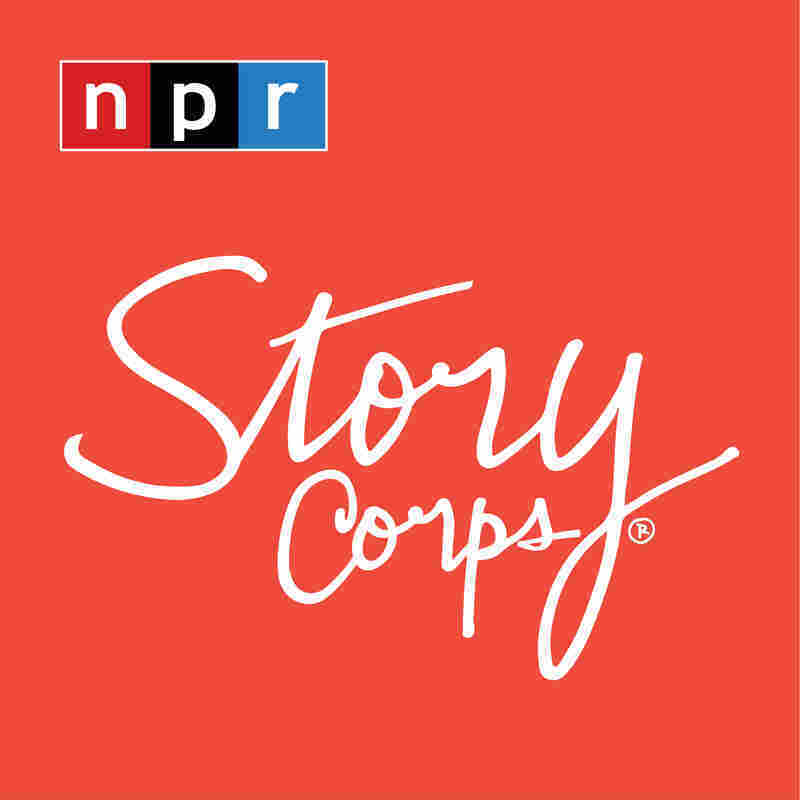 It is part of OutLoud — StoryCorps's initiative to collect LGBTQ stories across America. Roger Bessey, a gay man who'd lived most of his life in a straight marriage, found out in 1988 that he had AIDS. Soon after that, his wife, Christine, was also diagnosed — and their 38-year marriage ended. On a recent visit with StoryCorps, Diana Keough spoke with her sister, Claudia Anton, about losing parents their parents to the disease. 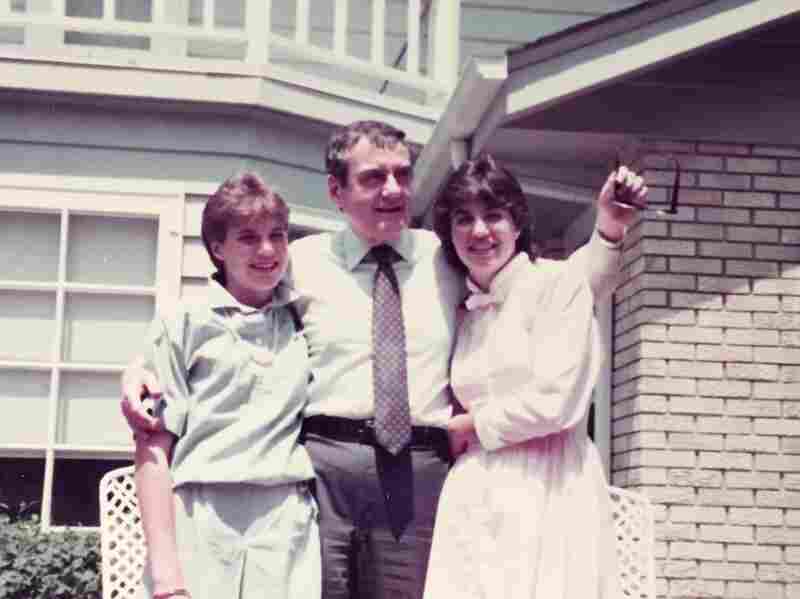 Claudia Anton, with her father, Roger Bessey, and sister, Diana Keough, at their home in 1978. After being diagnosed with AIDS in 1988, Bessey died in 1990. "You know, we thought at first when we heard the word AIDS that it had been prostitutes, or that he had had a transfusion that we didn't know about," remembers Keough, a daughter of Roger and Christine Bessey. "We didn't realize that he had been living a double life for 27 years." Keough says there were maybe 150 known cases in Wisconsin at the time, and that both she and her sister learned to keep quiet about it. Otherwise, she says, people would refuse to even come to their house. But that's by no means their most difficult memory of that period. The two of them had to watch as their father struggled for life — and for their mother to forgive him. "I just remember his heart was beating out of his chest like his heart wouldn't give up but the rest of his body was giving up," Anton says. "We actually called Mom, and we asked her if she would just speak to him for a minute. And she refused," Keough says. "So we actually pretended, and we told dad that mom had just called and she said that she had forgiven him." At that news, Keough says a calm came over their father, and that he died just hours later. "Do you feel bad about lying?" Keough asks her sister. "I've thought about that a lot." "Yeah," Keough says. "I think we did the right thing to let him die in peace." Their father died in 1990. In 1994, their mother died, too. "I get sad when people talk about going to see their parents or spending Christmas with their parents," Anton says. "I still get a twinge of sadness on Mother's Day." "I think what makes me the most sad is that neither one of them had an opportunity to be loved or love ... or be happy," Keough says. "I also think it's the sign of the times too, you know?" Anton says. "The fact is that he couldn't be who he wanted to be back then."